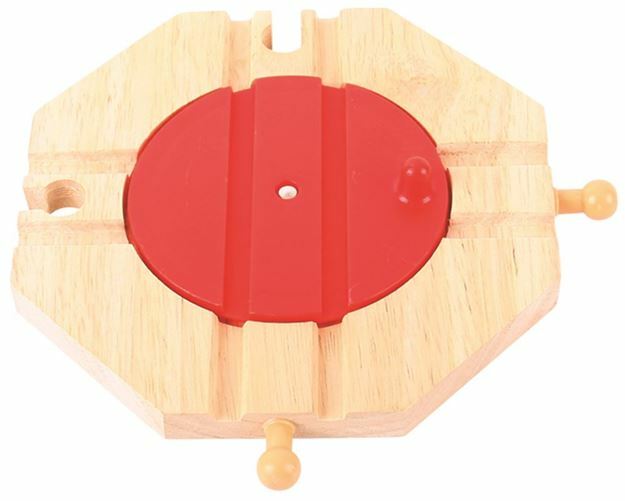 The Bigjigs Rail 4 Way Turntable allows trains to change direction easily, and head off in any of 4 different directions! For the most dedicated young network managers this is an essential accessory for their wooden train set. Bringing out the best in each play session, the turntable will allow creative minds to explore lots of new directions. Age 3+ years. Compatible with most other wooden railway brands. Distributed in New Zealand by Holdson.